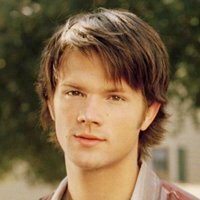 Jared Tristan Padalecki (born July 19, 1982) is an American actor. He grew up in Texas and rose to fame in the early 2000s after appearing on the television series Gilmore Girls as well as in several Hollywood films, including New York Minute and House of Wax. 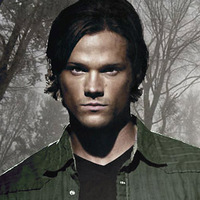 Padalecki plays Sam Winchester on the CW television series Supernatural. Padalecki was born in San Antonio, Texas to Gerald and Sherri Padalecki. His father is of Polish descent, while his mother has German, Scottish, French, and English ancestry. He has an older brother, Jeff, and a younger sister, Megan. He started taking acting classes at the age of 12. He attended James Madison High School in San Antonio and was named a candidate for the 2000 Presidential Scholars Program. In 1998, Padalecki and his partner Chris Cardenas won the National Forensic League national championship in Duo Interpretation. Padalecki won FOX's 1999 "Claim to Fame Contest"; he subsequently appeared at the Teen Choice Awards, where he met his current manager. 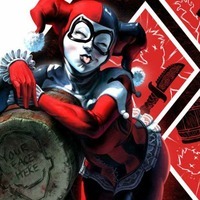 After graduating from high school in 2000, he moved to Los Angeles, California to pursue an acting career, although he had originally planned to attend the University of Texas. Padalecki's first role was a minor role in the 1999 film A Little Inside. In 2000, he was cast as Dean Forester on the television series Gilmore Girls, a role he played until 2005. Throughout the early 2000s, he also appeared in several made-for-television films, including Silent Witness, Close to Home, and the Disney Channel Original Movie A Ring of Endless Light. 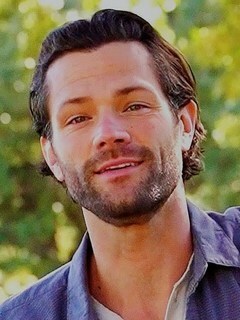 Padalecki had an uncredited part as a high school bully in 2003's comedy Cheaper by the Dozen, which he played after being asked by fellow actor and friend 'Tom Welling', who played the part of Charlie Baker, and the director of the movie, who wanted someone larger than Charlie to pick on him. Padalecki originally auditioned for Welling's role, but gave it up in order to film a pilot titled Young MacGyver which was never picked up. In 2004, he appeared in the 'Mary-Kate and Ashley Olsen' comedy New York Minute as Trey Lipton, a cute boy to whom the Olsens' characters are attracted. He also landed a short role in the thriller Flight of the Phoenix alongside 'Dennis Quaid' and 'Hugh Laurie'. In 2005, Padalecki starred opposite 'Elisha Cuthbert', 'Chad Michael Murray' and 'Paris Hilton' in the horror film House of Wax in which he plays Wade, one of five teens who are slashed and killed. In the same year, Padalecki appeared in yet another horror film, Cry Wolf in which he played Tom. He had the lead role in 2008's The Christmas Cottage, in which he played Thomas Kinkade. Padalecki also had the lead role in the horror remake Friday the 13th film alongside 'Danielle Panabaker', which opened on Friday, February 13, 2009. He plays Clay Miller, a character who heads out to the doomed Camp Crystal Lake in search of his sister who has gone missing. Padalecki married his former Supernatural co-star 'Genevieve Cortese' (February 27, 2010) in Sun Valley, Idaho. He and his wife are currently residing in Vancouver, British Columbia, Canada. On October 10, 2011, he announced they were expecting their first child. The couple's son, Thomas Colton Padalecki, (b. March 19, 2012). On July 21, 2013, via Jared's twitter, it was confirmed that the couple are expecting their second child (b. December 2013). Was engaged to long term girlfriend Sandra McCoy - he proposed in Paris while on holiday during the writers strike (October 2007-March 2008). But in June 2008, at the Supernatural Dallas convention, he announced that they were no longer engaged or together. Good friends with actor 'Derek Lee Nixon' (qv) and Director 'Andrew Pozza' (qv) from San Antonio, Texas. Was considered for the role of Superman/Clark Kent in the proposed relaunch of the Superman film franchise. Favorite band is 'Our Lady Peace' (qv). Born in 1982, he is the youngest cast member of the TV series _"Gilmore Girls" (2000)_ (qv), approximately a year younger than 'Alexis Bledel' (qv). Graduated from James Madison High School in 2000. Is best friends with 'Jensen Ackles' (qv), his on screen brother in _"Supernatural" (2005)_ (qv).